Fifteen board members and staff representing various Mennonite agencies and organizations traveled to Israel/Palestine Feb. 24–March 4 to take part in a “Come and See” learning tour; participants included Joy Sutter, a member of Mennonite Church USA’s Executive Board from Salford congregation, and Noel Santiago, a member of Mennonite Education Agency’s board and a staff member for Franconia Conference.The tour marked the beginning of a denominational initiative to send 100 Mennonite leaders to the region on similar tours over the next five years. While Mennonites have been involved in relief work, service, witness and peacemaking in the region for more than 65 years, the tour was organized in response to a 2009 appeal from Palestinian Christians called “Kairos Palestine: A Moment of Truth” (www.kairospalestine.ps). The learning tour followed the path of Jesus’ life by traveling to Bethlehem, Nazareth, Galilee and finally, Jerusalem. Along the way, they visited Bethlehem Bible College, Nazareth Village, refugee camps, settlements and community organizations, meeting local activists and villagers in each setting and hearing their stories. In Jerusalem they spent time at Yad Vashem, the Holocaust memorial, and attended a Jewish Sabbath service. The group also connected with people serving with Mennonite Central Committee, Mennonite Mission Network and Christian Peacemaker Teams. Participants were left with much to contemplate and share with their faith communities. Horning said he gained a better understanding of the terms often used to describe life in the region. “Words like security, wall, border, military, settler, outpost, tear gas, demolition, rubber-coated bullet, and confiscation have more meaning when I tell the stories of people we met and who live in the context of these sterile terms,” he said. Participants brought with them a range of experience and familiarity with the region. Some had visited or served there, but most were witnessing the realities for the first time. In addition to questions about the United States government’s involvement in the region, the group was encouraged the consider questions of faith in new light. 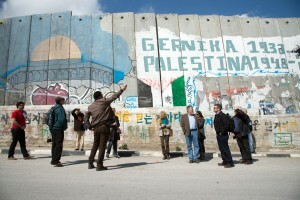 In 2011, Mennonite Church USA Executive Director Ervin Stutzman—in consultation with the Executive Board (EB)—responded to the writers of the Kairos Palestine letter, committing to expand opportunities for Mennonite leaders and members to visit Palestine and learn firsthand about the suffering there. Stutzman and the EB also wrote a letter to members of Mennonite Church USA, asking them to read and discuss the Kairos document, to study Scriptures together on the matter and to consider how their financial lives may be enmeshed in the occupation of Israel. In 2013, the EB underscored its desire to help the church more fully understand both the Israeli and Palestinian experiences and the role of Christian Zionism in this conflict. A “Come and See” fund was established with initial contributions from Mennonite Central Committee U.S., Mennonite Mission Network and Everence to offer some scholarships for present and future learning tours. Individuals, agencies and local congregations covered the remainder, according to Stoner. 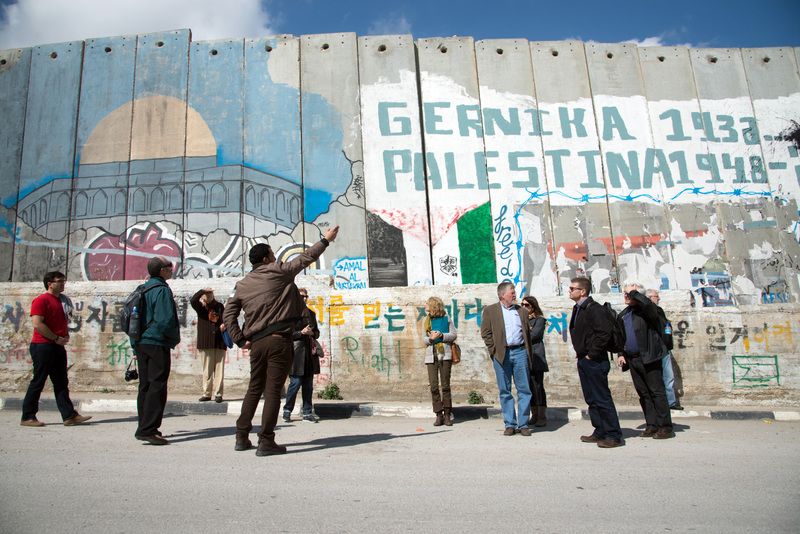 The next Israel/Palestine learning tour is scheduled for October 2014 and will include participants from Franconia Mennonite Conference, Eastern District Conference and Atlantic Coast Conference. There are limited spots available and some possible financial assistance is available as well. Contact Steve Kriss, skriss@franconiaconference.org, to express interest and learn more. To be considered as part of the delegation, you must contact Steve by April 7, 2014. This trip is intended for persons who have not previously traveled to the region.